St. Martin's Griffin, 9781250049179, 224pp. When you've been kept caged in the dark, it's impossible to see the forest for the trees. It's impossible to see anything, really. Not without bars . . .
Before the sun rises, he'll either surrender his sanity to the wild darkness inside his mind or make peace with the most elemental of truths-that choosing to live can mean so much more than not dying. STEPHANIE KUEHN holds degrees in linguistics and sport psychology, and is currently working toward a doctorate in clinical psychology. 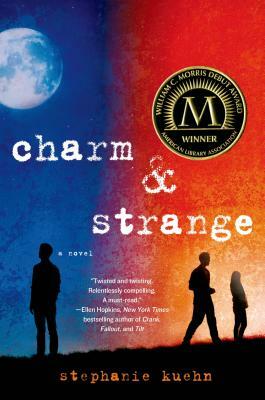 Charm & Strange is her debut novel. She lives in Northern California with her husband, their three children, and a joyful abundance of pets. When she’s not writing, she’s running. Or reading. Or dreaming.